If it feels like 100 degrees it must be the week of the Kane County Fair. 2013 marks the 145th annual Kane County Fair that starts TODAY July 17th and ends Sunday July 21. The fair is, of course, located at the Kane County Fairgrounds that you can access from Randall Road and Rt. 38. If you are newer to the area you might not know that back in the day we parked in a field where Meijer is today and crossed Rt38 by a bridge. If you pay close attention you can see what remains of the bridge on the north side of 38 just west of the Moose hall. The fair will be open from 3pm to 11pm today Wednesday July 17, noon to 11pm Thursday, noon to midnight Friday and Saturday, and noon to 9pm Sunday. Admission today and Thursday is $5 but you can get a discount of $1 by bringing in a non-perishable food item for donation to area food pantries and $2 off admission if you bring in two items. 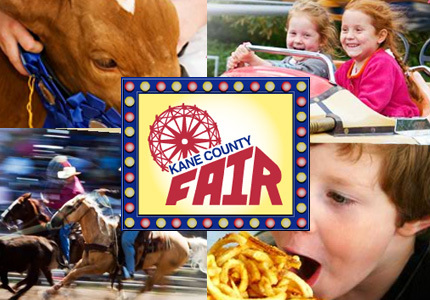 Cost for admission is $8 Friday-Sunday but there is a printable $2 off coupon on the Kane County Fair website. There is an additional cost for rides but there is a free stage with various daily performers. 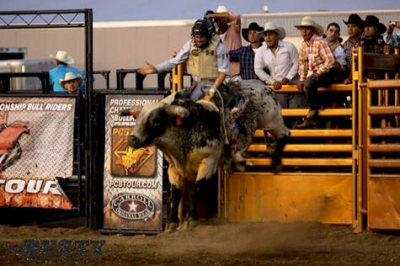 Grandstand events include a battle of the bands on Thursday, Truck pull on Friday, Bull riding on Friday and Saturday, and the demolition derby on Sunday. Costs for admission to these event vary by event. As always there is a host of 4-H events you can see and the exhibit halls that showcase area business among other things. While I joke about the weather it is going to be hot this week so if you are planning on heading out to the fair be sure to stay hydrated and pace yourself. Do not stay out in the sun for hours and be sure to bring sunscreen. While we promote some sun exposure for Vitamin D we do not suggest staying out in the sun all day without protection. Vitamin D creation only takes a short amount of time in the midday sun, so after that protect yourself with some sunscreen. The 2013 Kane County Fair has potential to be a fun time if you plan your trip right. Check out the website and decide what you want to do and how much you want to spend there. Then plan the time of day you are going to avoid you or your children burning out on the heat and exhaustion.